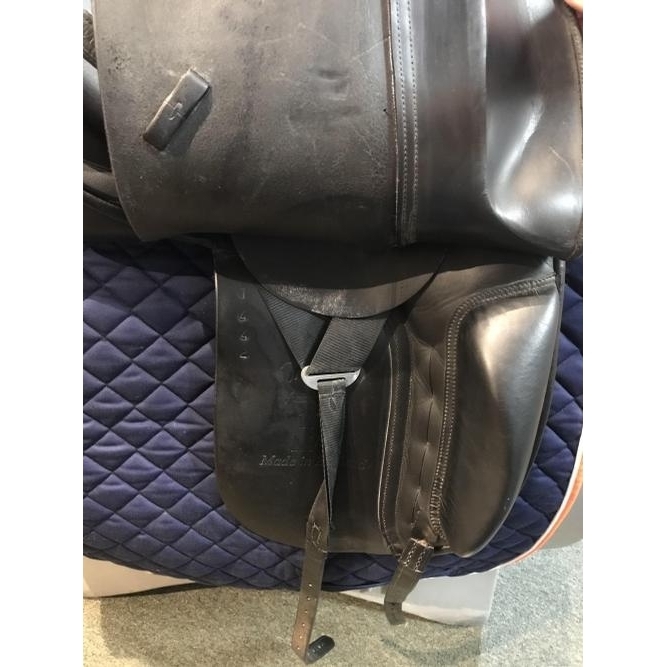 17.5 IN Trilogy Amadeo Elite in excellent condition. 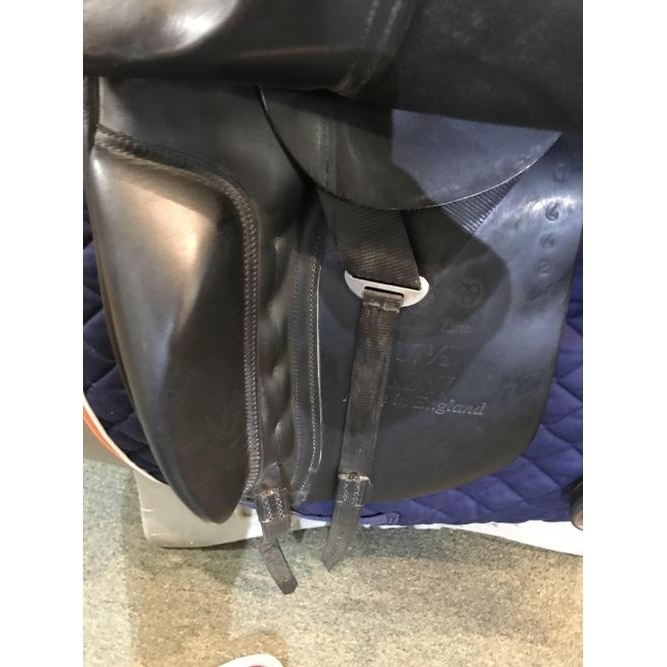 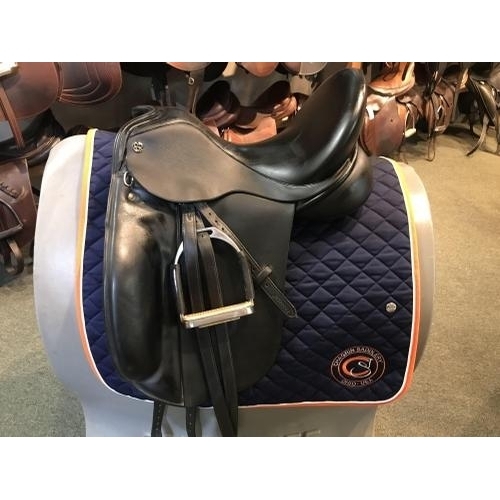 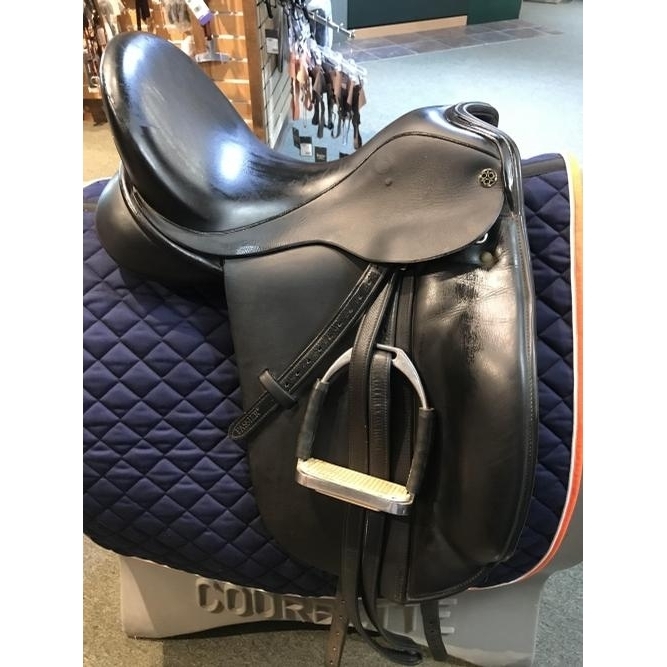 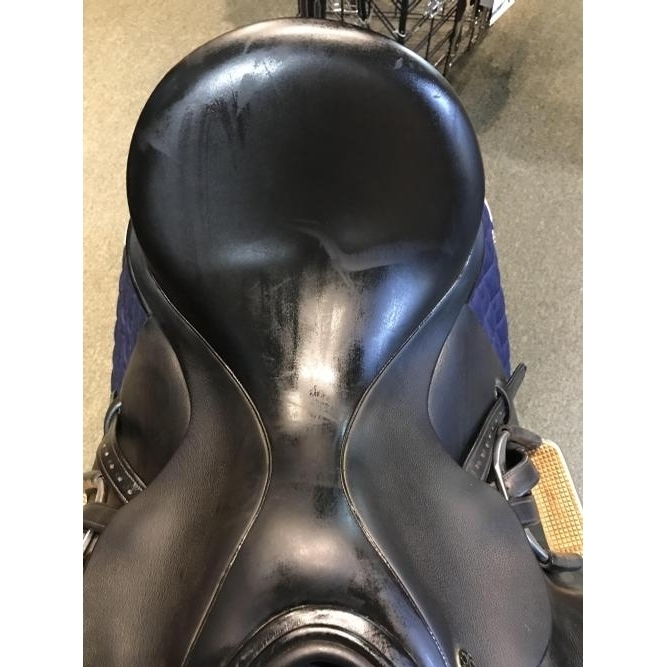 This gorgeous English saddle features regular length flaps with large knee blocks for support. 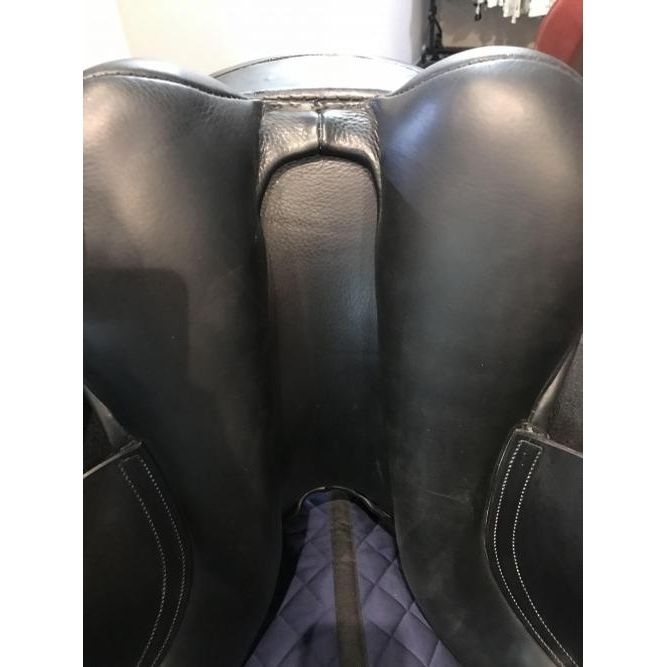 The seat runs slightly small and is deep with a narrow twist. 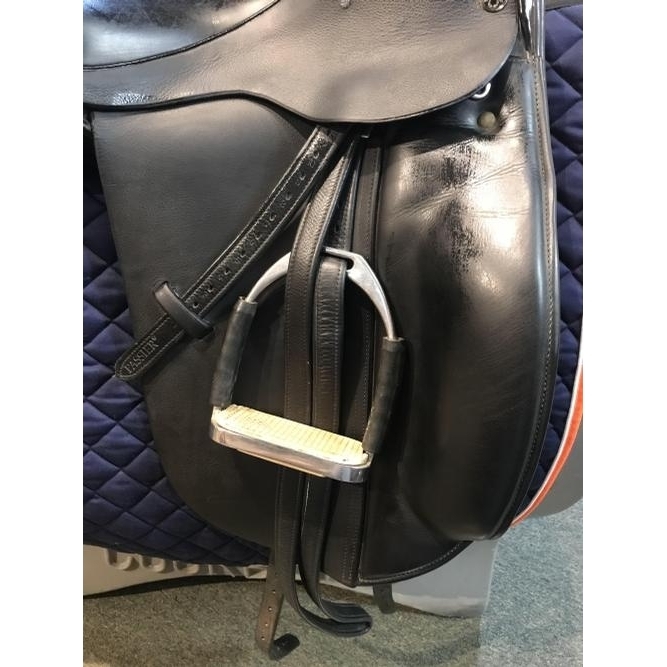 The tree is stamped as “MW” but was sent back to Trilogy to be refit with a wide tree. 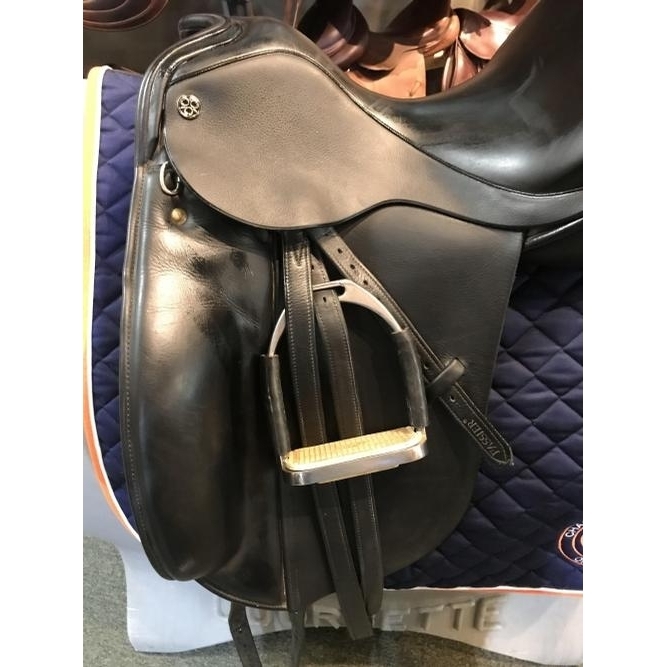 This saddle includes Passier calfskin stirrup leathers, fillis stirrup irons, and a saddle carrier.